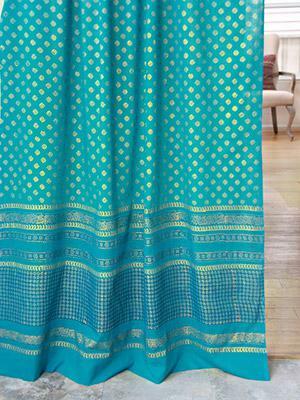 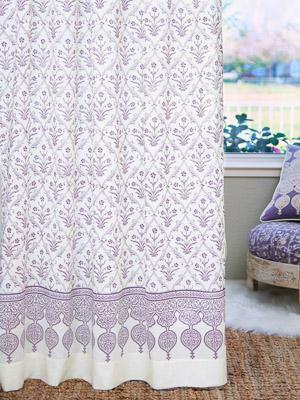 A romantic print, radiating luxury and restrained elegance. 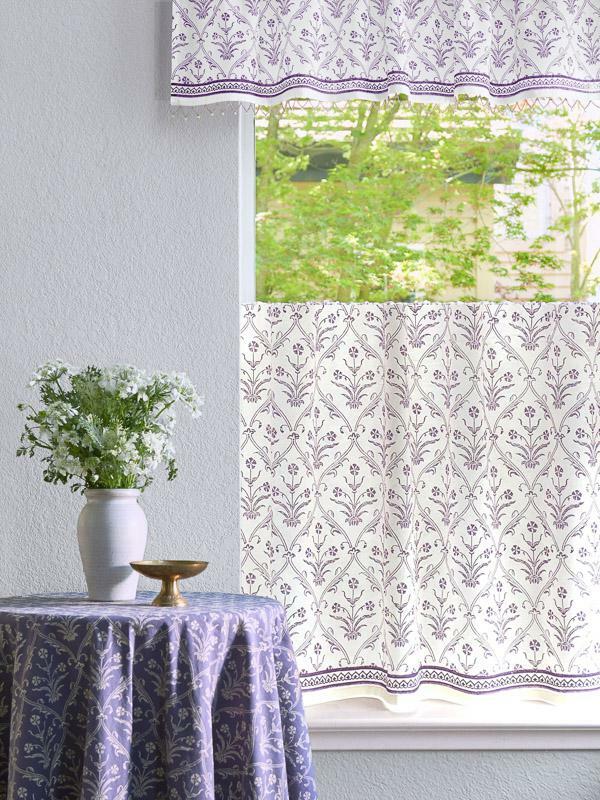 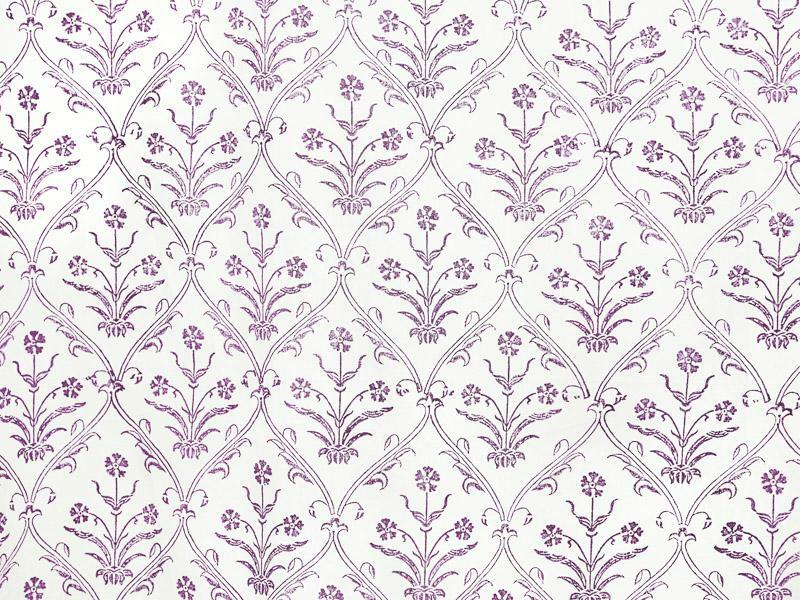 Victorian Lilac Ivory is a delicate ogee print, with an exquisitely patterned lilac purple floral trellis across an ivory ground. 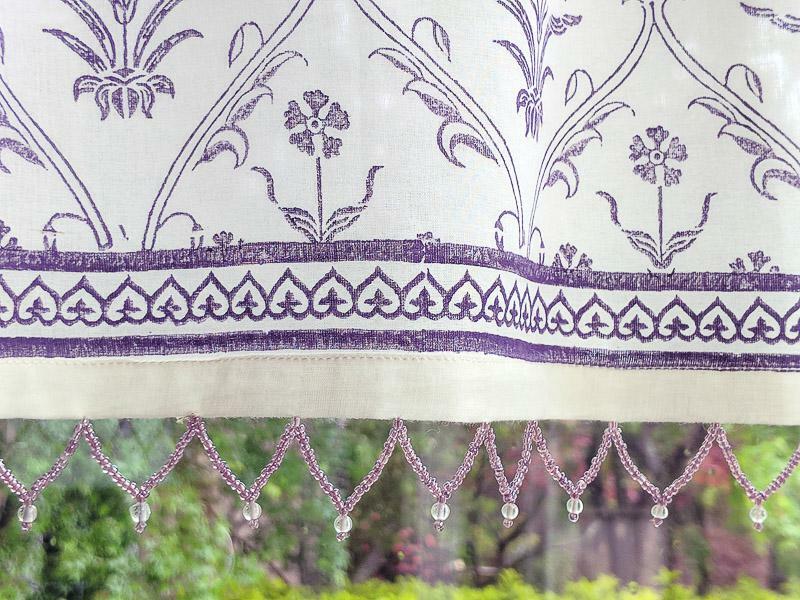 Full of subtle details, and blooming with delicate flowers, Victorian Lilac is always on trend – a perennial in the truest sense. 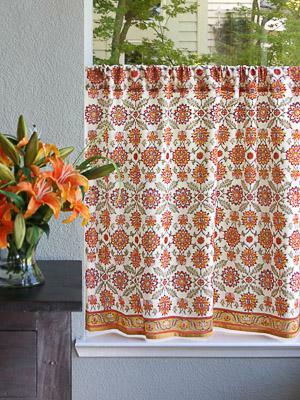 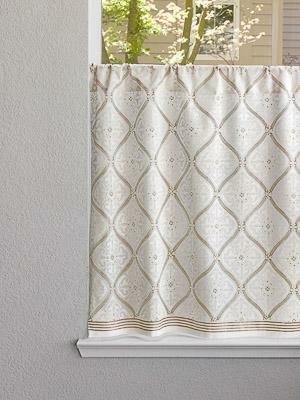 Stunning, hand-done beadwork is the finishing touch to these vintage style ... [ read more ] valances, which will add light and color to your unique bohemian space. 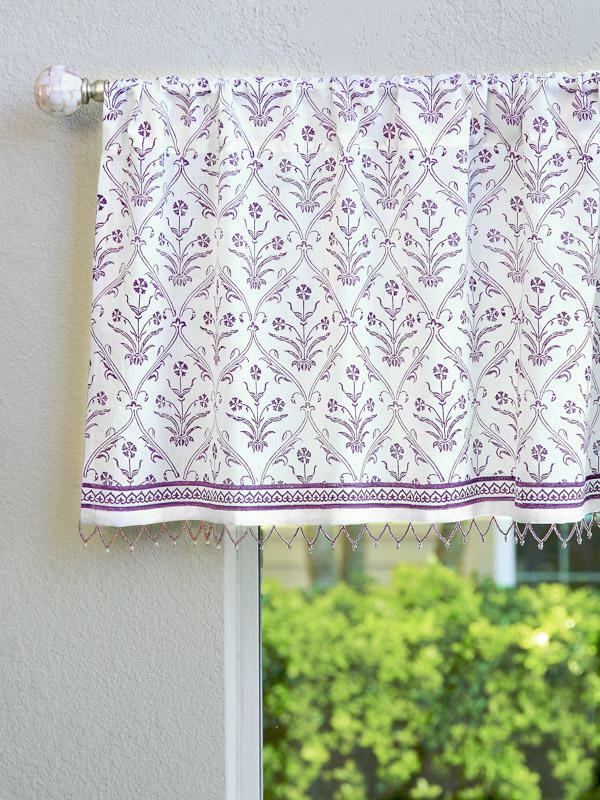 The soft cotton fabric is hand printed with washed purple florals for easy elegance.